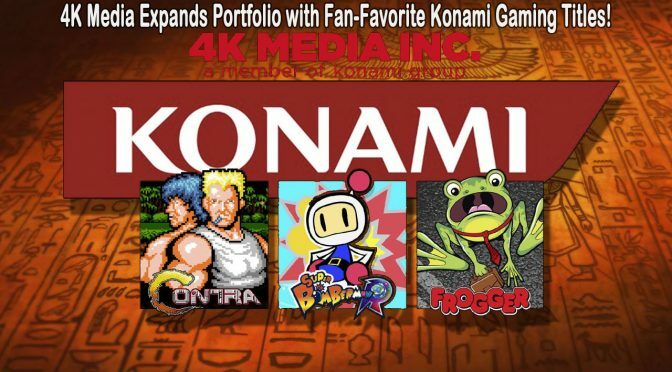 In Konami related news, Konami announced today that it’s 4K Media Inc. has expanded its portfolio to include the management of three fan-favorite Konami gaming titles – Bomberman, Contra, and Frogger. Previous PostYu-Gi-Oh! TCG Duelists Vie For Championship Gold as YCS Action Returns To New Jersey!Next PostNEW From Yu-Gi-Oh! TCG in June 2018!